Wesley Snipes can soon count himself among a distinguished elite that includes such names as Ernest Hemingway, Virginia Woolf, Miguel de Cervantes, and William Shatner. Yes, the Blade trilogy star will soon be a published novelist. Deadline reports that the supernatural thriller Talon Of God, co-authored with Christian writer Ray Norman (Dangerous Love), will be released by Harper Voyager in July. 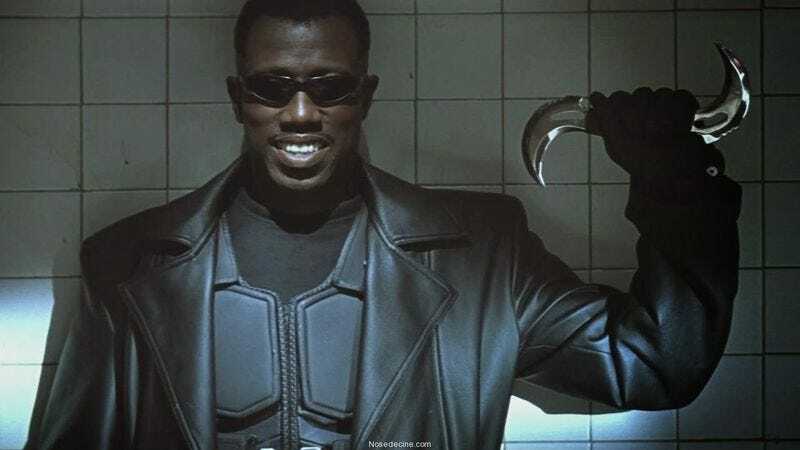 Snipes described to Deadline the general idea of his and Norman’s apocalyptic epic of good and evil, which he compares to The Devil’s Advocate, Constantine, and his own Blade franchise. The lead character Lauren is a very spiritual person. A spiritual woman, and her father is a minister who is put to the challenge. Lauren has been chosen to be a Holy Warrior here on Earth. She’s a doctor; her father is a Baptist minister. Snipes, who was raised Christian before converting to Islam for a decade, has long had an outspoken interest in spirituality, which he attributes partially to his study of martial arts.